That’s right, some of y’all need to vote, again. First of all, I misblogged the other day when I stated Alief ISD would have a run-off. In reality, the candidate with the most votes wins. So, DC-endorsed Natasha Butler, who won by 11 votes, joins Breaux, Nguyen, and Key on the board. Congrats to all of them. Serve the kids and the rest of us well. Meanwhile, as many as 78,000+ voters will have the opportunity to elect a new HISD Trustee in District I. Voters will choose between Elizabeth Santos, who earned 45% of the vote in Round 1, and Gretchen Himsl. Another 55,000+ voters in District III will get to pick between Jesse A. Rodriguez and Sergio Lira. Almost 10,000 and over 3500 voted in District I and III, in Round 1, respectively. As far as nods are concerned, I’ll say most of my friends are supporting Elizabeth Santos in District I, and my friends seem split in District III, but I’ve been rooting for Jesse A. Rodriguez. In HCCS District IX, Preta VanDible Stalworth is the progressive candidate in the mix. And that’s all I’ll say about that. District IX is in Southern Harris County and stretches from around the Southwest Freeway to beyond 288 to zip code 77048. Around 100,000 voters get to choose in this one, though a little over 10K voted in Round 1. With just a fraction of local voters eligible to vote in these races, you might ask yourself: Can I vote in this one? Check and see if you have a ballot here. Then find your early voting location here. So, get out and vote. It really does count in these low turnout elections. City of Houston Proposition 1……………….YES! The unofficial tally is at 100%, and I’m thinking they await some overseas and provisional ballots to be counted, but it seems that Dems had a so-so night. Here are some thoughts, and, of course, I’ll start with the obvious one. Julia Maldonado for 14th Court (and the others). Given 2008’s results, my thoughts were that appellate court candidates would need to get upwards of 55% in Harris County to win in a climate in which they would lose the other nine counties (badly) in the area served. We all hoped for Fort Bend to be closer or a win, too. Ultimately only two of the appellate candidates managed to cross the 50-yard line in Harris County, with Maldonado’s 50.55% and Barbara Gardner garnering over 51% in the latest count. Both were quite active on the trail, and I personally witnessed Julia putting up 4 x 8 signs down the block from me and around the ten counties. She’s as good with a mallet (for the big posts) as she would have been with a gavel. As far as Julia is concerned, she was out-raised and outspent by an organized multi-candidate effort, but that didn’t stop her from finishing the race at full gallop. She fell 86,000+ votes short, but we really enjoyed “winning” Harris County by almost 13K votes. One upsetting point in this one is the undervote of 63,000. I sort of expected it after hearing a voter at a poll ask for assistance in only voting for Obama and the Sheriff. Was this a common occurrence? If so, it may speak to the Sheriff’s race only having an undervote of 43,000. Color me annoyed. Sheriff Adrian Garcia – Obviously, I (and my pro-migrant colleagues) have been critics of Garcia’s continued support of 287(g) and SCOMM as a source of money for his department. At some point, one realizes that the alternative is the devil incarnate and one just shuts up and roots for Garcia as I did. (Plus, he’s a good person, and you can’t go too wrong with that.) That said, the criticism can now continue and I hope he continues to be receptive, especially as the debate for Comprehensive Immigration Reform hops up sooner than later in Washington, DC. Otherwise, Sheriff Garcia earned this re-election because of a successful first term that brought some sanity and good management to the HCSO. So, congrats to him! Diane Trautman for HCDE – Diane seems to have enjoyed some crossover appeal, which is not surprising given the fact that Republicans were abandoning Diane’s opponent much like they abandoned Sheriff Garcia’s opponent. Along with Erica Lee, Democrats will have a majority on the board, and that’s a good thing. Congrats to Diane and Erica! The County Judicials – As the numbers were slowly coming in, there’s no doubt that many of us were worried about the ultimate outcome regarding our Judges. Those last precincts put most of our incumbent Dems ahead; although, I am worried about some of my favorites, like Judge Josefina Rendon and Hazel Jones. The varied margins tell us some of our Judges had better crossover appeal than others, too. The reasons? Well, that’s up for debate, I’m sure. Gene Wu for HD-137 – It’s been a long time since I voted for a Texas House candidate that actually won! This may take some getting used to; and not just the fact that he’s a Democrat, but the fact that he’ll be responsive to his constituents (Joe Crabb sucked at that up in Kingwood). Good job, Team Wu! Obviously, we have a waiting game. Ann Harris Bennett is 2500 down and any ballots left to be counted may provide a clearer picture. Is it enough? It’s hard to tell from what Stanart told News 92 this morning–there’s thousands of overseas and provisionals, whatever that means. 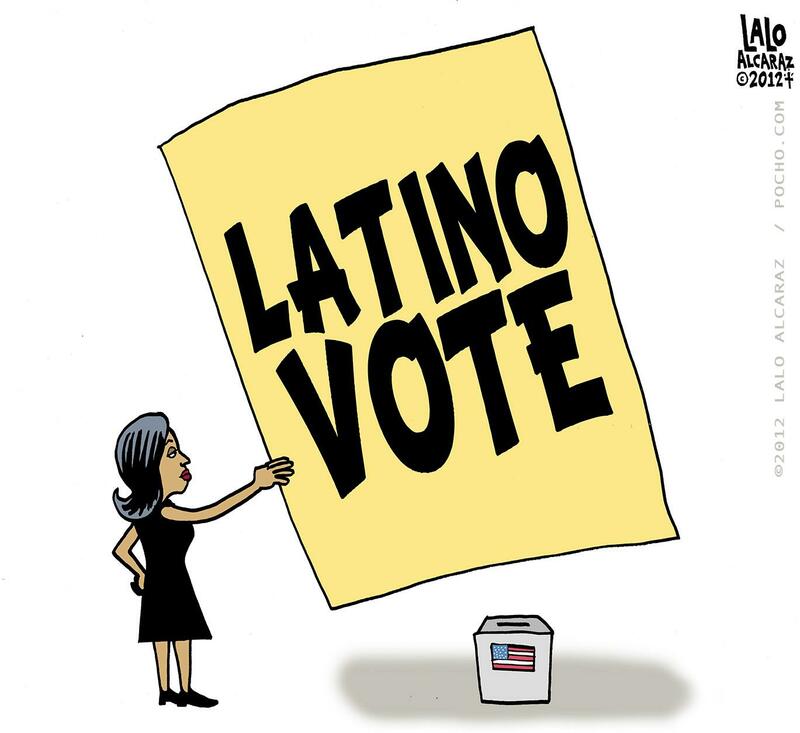 I’ll be working up some more thoughts later; especially on the oft-credited for Obama’s victory Latino vote.